This Tour is comprise of Day Trip to Mountain Kilimanjaro and Camping Safari in the Northern circuit National Park. 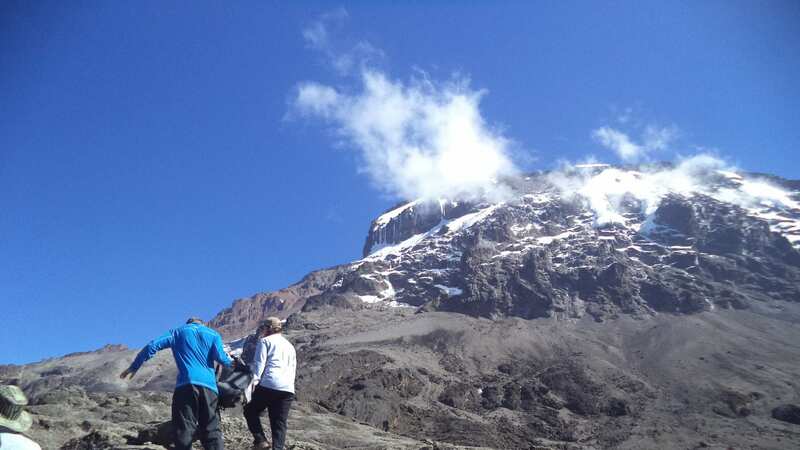 You will get the chance to climb Mountain Kilimanjaro a day trip via Marangu route whereby you will climb from Marangu gate to the first camping at Marangu called Mandara hut,the hike will take 4 hours and you will descend down in the evening to the Marangu gate. Then you will do Camping Safari in the National Park like Tarangire National Park,Lake Manyara National Park,Ngorongoro Crater and Serengeti National Park. Another full day allows you to travel to each corner of this part in search of remote animal encounters in Lake Manyara. This morning you have the chance to enjoy a private walking safari around the rim of the crater(Additional cost required). Here you will encounter small animals, birds and a range of local flora & fauna. After lunch commence your drive back to Moshi. Arrival and departure airport transfers in Moshi.